Genevieve Weaver. Photo: Courtesy of Peter Johnson. LONDON.- Christie's has been entrusted with Guinevere - Celebrating Fifty Years, an anniversary auction marking the first half a century of the popular and luxurious interiors shop, to be held in the South Kensington saleroom on 19 March 2013. Originally founded by French hat designer Genevieve Weaver in 1963, and now owned by her two sons Kevin and Marc, Guinevere Antiques remains a very personal, family-run business with a famous shop-front spanning the length of four shops. The eclectic mix of styles and eras showcased throughout the extensive premises on the Kings Road, London reflects the taste of the brothers who travel the world collecting fascinating objects and décor. Famous faces sometimes found browsing the rooms include the likes of Valentino, Gwyneth Paltrow, Jade Jagger, Nina Campbell, and Sir David Tang. The auction will comprise around 450 lots of unique and unusual decorative objects, furniture, lighting, fabrics and more, representing both Ancient and Modern, East and West selected both from Guinevere antiques and from the private collections of the Weaver family. The selection is expected to realise in excess of £700,000, with estimates starting from £500. Genevieve Weaver acquired her first ever antique in London in 1959 (the same year that Kevin was born)  a walnut Spanish table bought for £100 for her futuristic self-designed Notting Hill home. Realising the value of antique furniture over modern in terms of re-sale value, due to her self-confessed need to adapt her surroundings on a frequent basis, Genevieve quickly started to look at antiques differently. At the time the antiques business was very much a man‟s world however this was no obstacle for Genevieve. Driven by passion, her main concern was always the visual statement and impact a piece could provide. 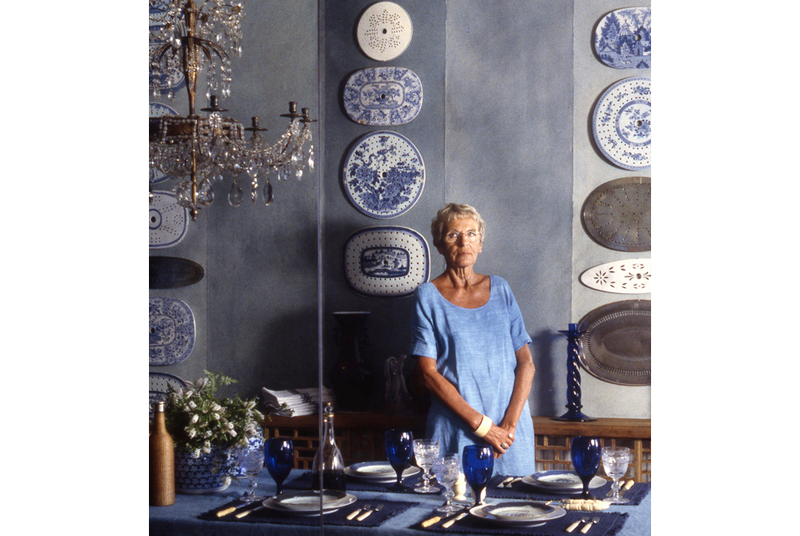 A collector in her own right, she admitted that it was always the buying rather than selling that gave me the biggest thrill, justifying purchases with, If you see something you absolutely love, then you should buy it  for the simple reason you might never find it again. The shop, likened by some to an Aladdin‟s cave‟, has come a long way since Genevieve papered the walls in wrapping paper, and laid vinyl upside down to create a white floor. It has also grown considerably, however, the brothers continue to adhere to their mother‟s mantra that there is no point in selling pieces that you don‟t like yourself, encouraging private clients and decorators alike to buy objects to live with rather than revere.